Jennifer M. Barbour is a member of the litigation practice group, focusing on health care and commercial litigation. In her commercial litigation practice, she has represented shareholders in derivative claims and corporate officers and directors in claims involving breach of fiduciary duties. She has represented corporations and partnerships in judicial dissolutions, as well as defended trustees in claims for breach of fiduciary duties. Her health care litigation practice includes medical malpractice defense and long term care malpractice defense. Ms. Barbour also advises healthcare organizations on regulatory matters, including health care privacy, security law and licensure. 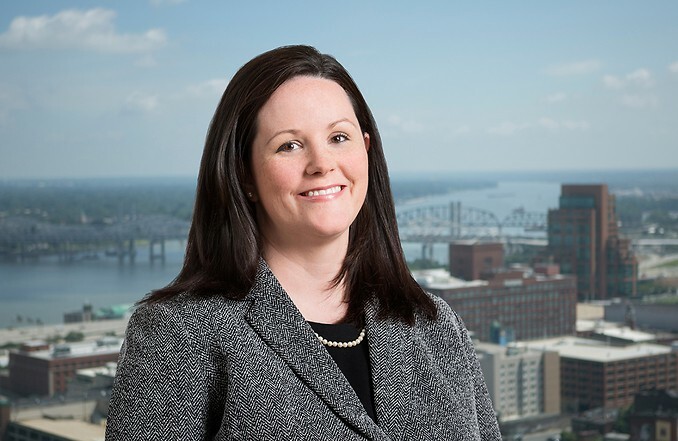 Prior to joining Middleton Reutlinger, Ms. Barbour practiced medical malpractice law with a medical malpractice and personal injury firm in Kentucky. There she was first and second chair in several significant cases and gained extensive experience representing clients at all levels of litigation and appeal. During law school, Ms. Barbour was a member of the Health Law Moot Court team for two consecutive years, was selected as a member of the ATLA trial competition team and was a Pupil member of the Brandeis Inn of Court. Ms. Barbour is the author of “Commercial Motor Vehicle Insurers ‘Beware’ MCS-90 Endorsement Implications,” The Insurance Research Letter (2016), “Ex Parte Communications with the Treating Physician in Litigation,” Bar Briefs (2014) and “HIPAA Compliance: Is Your Business Complying with HIPAA and Privacy Rules,” Southern Indiana Business Source (2013). Obtained a defense verdict on behalf of SNF in medical negligence, wrongful death and resident’s rights abuse and neglect case where plaintiff was seeking in excess of $3 million in damages for a significant decubitus ulcer allegedly caused by SNF’s negligence. Obtained Opinion granting Judgment on the Pleadings upholding validity of Shareholders’ Agreement for clients in case alleging conflict of interest and breach of fiduciary duty with trustees and corporate officers and directors. Advised healthcare organization with regard to significant data breach matter and coordinated reporting to applicable state and federal agencies. Advises healthcare providers concerning regulatory compliance, including Medicare, Medicaid and state regulations. First and Second-chair on approximately 200-250 cases, 15-18 as first chair for medical malpractice, products liability, and personal injury cases.